alaTest has collected and analyzed 841 reviews of Contour ROAM. The average rating for this product is 4.1/5, compared to an average rating of 4.1/5 for other Camcorders for all reviews. Reviewers really like the size and image quality. The design and durability also get good reviews. The color and battery get critical opinions, while reviews are divided on the portability. We analyzed user and expert ratings, product age and more factors. 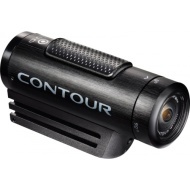 Compared to other Camcorders the Contour ROAM is awarded an overall alaScore™ of 88/100 = Very good quality. Again, for this price, defenitly a strong choice, it wont let you down! Overall a great buy! I use on my r/c plane for aerial video and works great!